Remember the old saltshaker prank? Someone would loosen the top of a salt shaker in a restaurant. The next customer would unsuspectingly try to put a little salt on their food and end up dumping the entire contents of the shaker on their plate! It doesn’t take a lot of salt to make a meal taste better. Just a pinch of salt can make the ingredients of a dish really come to life. In the same way, we don’t have to dump everything we have on people all at once in order to be effective in spreading the gospel message. In fact, sometimes, in giving them too much all at once, it becomes overwhelming for them, like a dish with way too much salt. We have to be discerning about how much to unload on people at one time. Let’s try to give them just enough salt to make the truth of salvation through Jesus palatable for them. “You are the salt of the earth…”—Matthew 5:13. 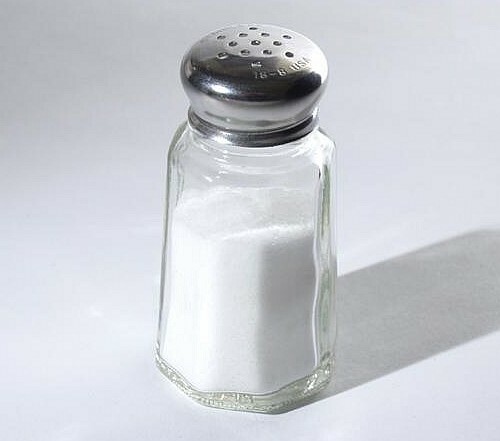 This entry was posted in Christian Living, Humor, Leadership and tagged illustration, influencing people, Matthew 5:13, salt of the earth, salt shaker, Sermon on the Mount, spreading the gospel. Bookmark the permalink.